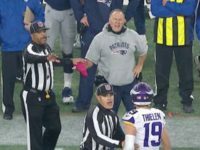 Dec. 31 (UPI) — Kirk Cousins and Adam Thielen showed their mutual frustration by having an animated sideline exchange during the Minnesota Vikings’ loss to the Chicago Bears. We’re only a couple weeks away from that magical time of year when millions of Americans will flood the U.S. Postal Service with cards carrying forth heartfelt expressions of love, and wishes for a Merry Christmas. 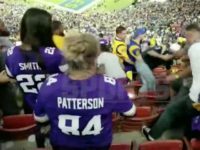 A brawl erupted in the stands at LA Memorial Coliseum for the Rams-Vikings game on Thursday that ended with several minor injuries and one fan hurdled over the bleachers a video shows. 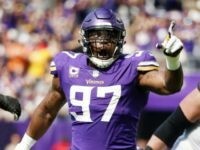 Vikings defensive end Everson Griffen became embroiled with police last weekend, after being accused of threatening to “shoot up” a Minneapolis hotel and causing a disturbance at a team mate’s home. 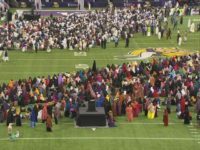 Thousands of Muslims streamed to U.S. Bank Stadium in Minneapolis on Tuesday, to celebrate the Muslim holiday of Eid. 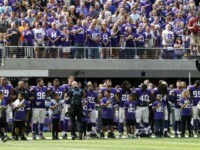 The Minnesota Vikings said they plan to act “as a team” to decide whether players remain in the locker room, or stand on the sidelines and show respect for the anthem. 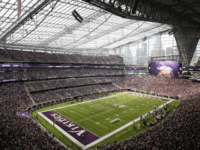 The Minnesota Vikings will host an LGBTQ summit and fundraiser as part of a settlement over anti-gay comments purportedly directed at former Vikings player Chris Kluwe. 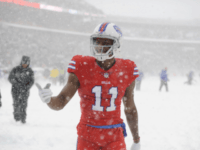 The NFL offseason normally gives us at least one or two bizarre arrest stories, but this is weird even by NFL standards. 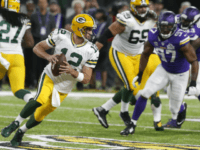 March 13 (UPI) — The Minnesota Vikings will sign free agent quarterback Kirk Cousins. 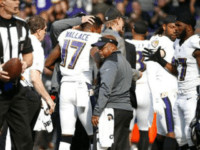 Vikings quarterback Case Keenum had a really rough day in Philadelphia last Sunday. 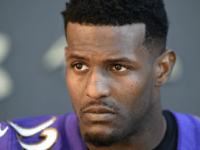 As it turns out, so did his family. 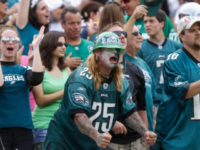 PHILADELPHIA (AP) — Hey Philly, maybe it’s time to forget Carson Wentz. 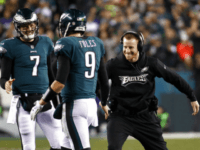 Nick Foles might be good enough to win the Eagles their first Super Bowl. 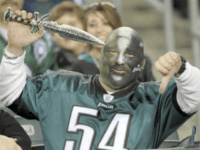 The Philadelphia Eagles are infamous for having some of the most unruly fans in the NFL, and that perception was done no favors, today, when Eagles fans were caught on video taunting and flipping off Vikings fans and, even worse, throwing beer bottles and cans at them as they walked by. 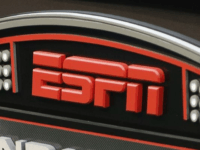 Right before one of the NFL’s biggest weekends of the year, featuring the conference championship games, the league’s top PR official announced he’s stepping down. 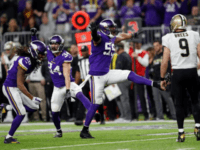 MINNEAPOLIS (AP) — Case Keenum completed a last-ditch heave near the sideline Sunday on the game’s final play, and Stefon Diggs slithered away for a 61-yard touchdown to give Minnesota a 29-24 victory over New Orleans and send the Vikings to the NFC championship game, with one more win needed to become a first-time Super Bowl host. 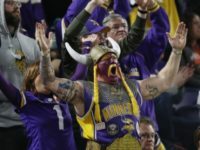 No one knows for sure if any anthem-kneeling will occur inside U.S. Bank Stadium on Sunday, when the Minnesota Vikings take on the New Orleans Saints. 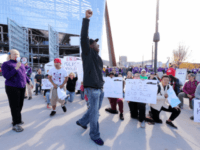 However, there will most assuredly be some protesting going on outside the stadium. 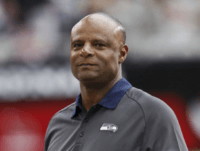 Hall of fame quarterback Warren Moon is strongly denying charges that he sexually harassed a former executive assistant who has filed a lawsuit against him. 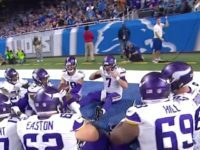 DETROIT (AP) — Case Keenum stood in the pocket to take a hit, dipped his right shoulder to slip out of a sack and shuffled his feet in the pocket to give his receivers more time to get open. 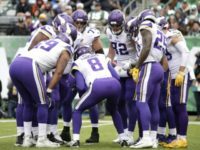 NEW YORK (AP) — The NFL has suspended Vikings safety Andrew Sendejo for one game for violating player safety rules in Sunday’s win against the Baltimore Ravens. 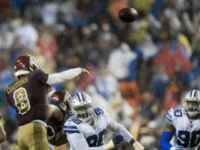 It didn’t take long for the first brutal, wince-inducing moment to occur during Week 7. 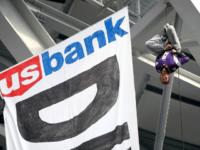 Nor, is it surprising that the moment would come in a game between the Vikings and Ravens. 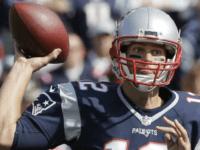 A lot of teams trying to avoid the dreaded 0-2 hole in Week Two of the NFL season, including the Super Bowl champion New England Patriots who travel to New Orleans to take on the Saints, who are in the same boat. 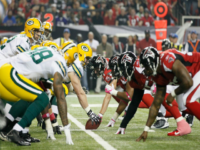 Monday Night Football is an American institution, so what better way to start an NFL season than with a double-header on the season’s first Monday night? 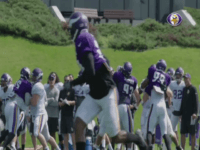 Aug. 17 (UPI) — Stefon Diggs might roast cornerbacks life coffee beans while outfitted in Starbucks cleats for the Minnesota Vikings’ second preseason game. 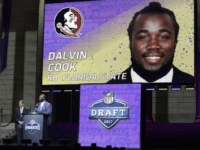 The Minnesota Vikings were eager enough to start drafting after sitting out the first round that they traded up seven spots for Florida State running back Dalvin Cook with the 41st pick. 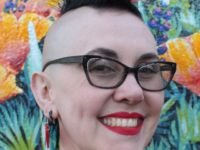 Going viral does not require verification, even if you have a verified Twitter account. 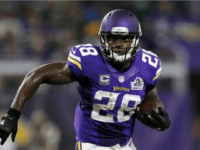 So how cold did it get in Minnesota on Sunday when the Vikings took on the Colts? The fans had to cook their beer. 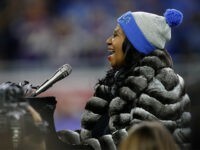 Soul legend Aretha Franklin donned a Lions beanie and belted out the National Anthem ahead of Detroit’s home game against the Minnesota Vikings on Thanksgiving, delivering one of the longest renditions of “The Star-Spangled Banner” in recent memory.